Today is Sweet 'n Sassy Stamps' January release and the design team are joining together to share some card projects we've made with the new products now available on SNSS site. For all the full information on all the new products added, please hop over to the SNSS company blog. 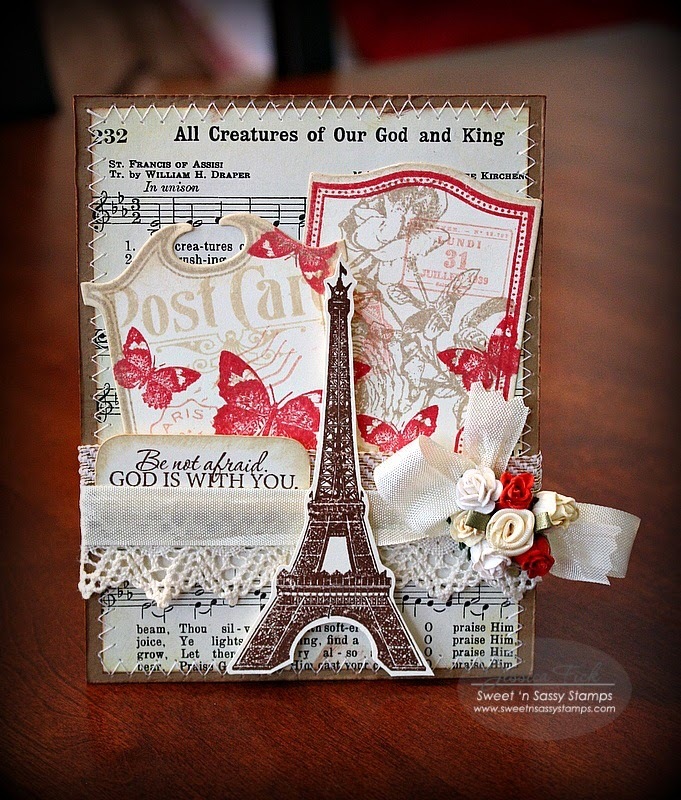 My first card uses the beautiful new Parisian Postcard stamp set. 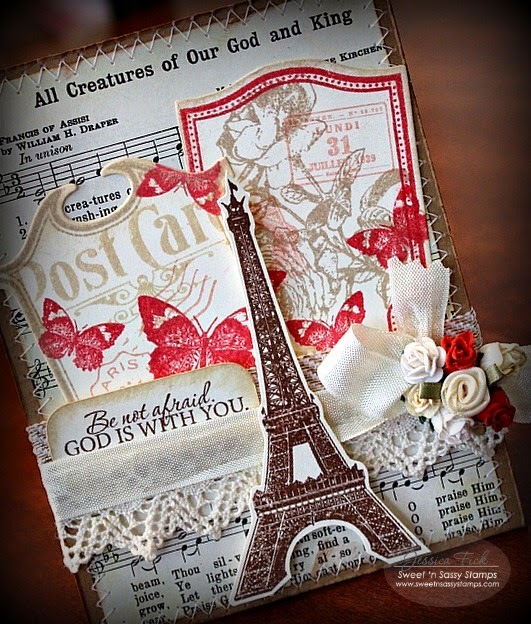 Such a gorgeous Vintage/Collage stamp set illustrated by Gracielle Design! I paired it with the Decorative Frames stamp set and the coordinating Decorative Plaques dies along with the Be Encouraged stamp set for the sentiment. 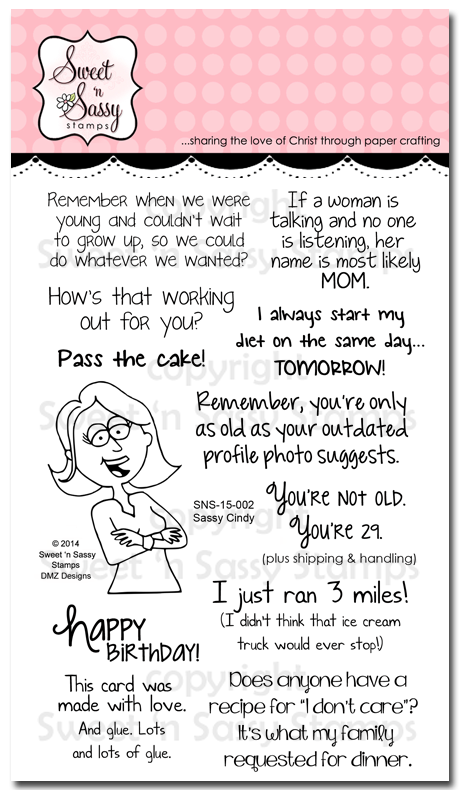 Next up is the fun Sassy Cindy stamp set, illustrated by Diane Zechman. 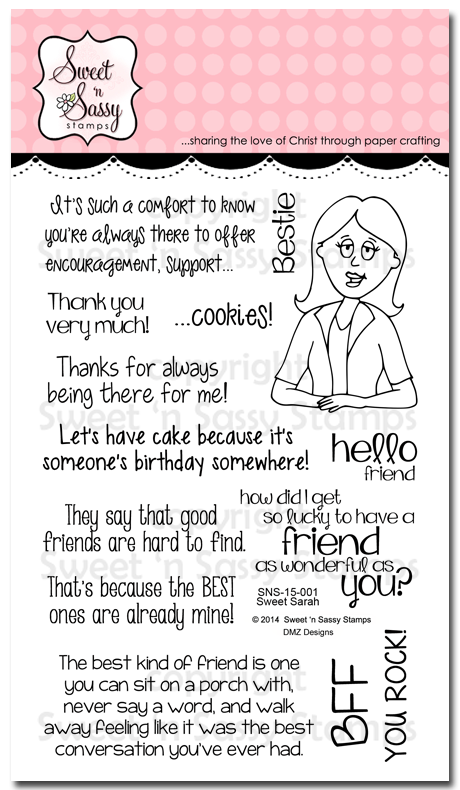 This stamp set is filled with sassy sentiments, perfect for cards for your girl friends! 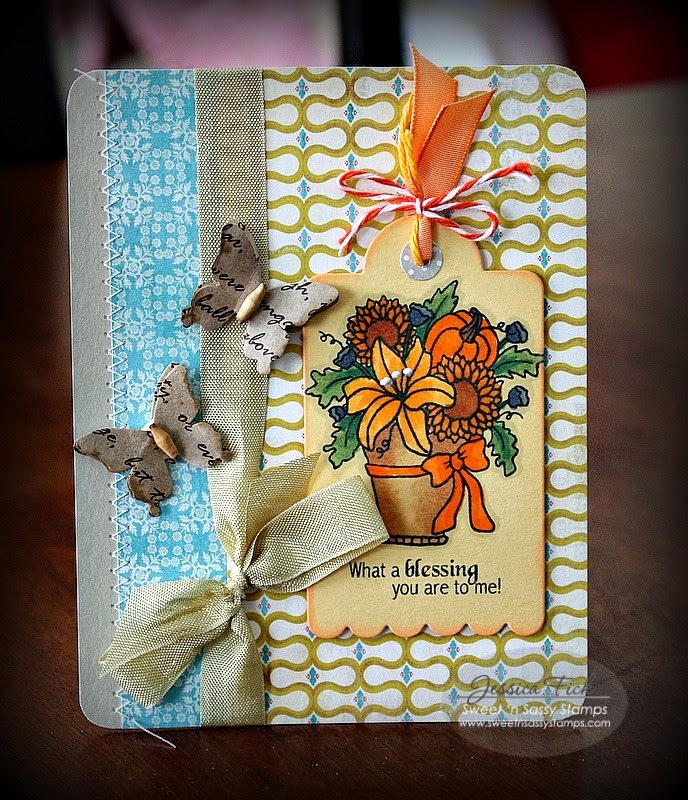 My next card below, uses Diane's Sweet Sarah stamp set. This set's sentiments are sweet - as they name suggests, perfect for anyone! As part of our release day fun, one random commenter from one of the DT blogs will be selected to win a $10 Gift Code for the Sweet 'n Sassy Stamps Store. You have until Thursday, January 15th at midnight EST to leave your comments. 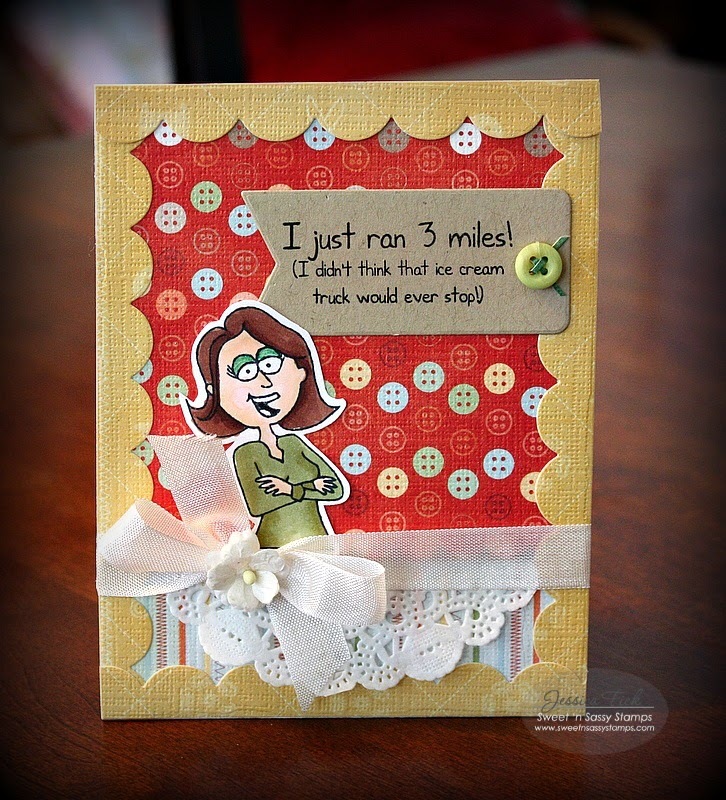 The winner will be posted on the Sweet 'n Sassy Stamps Blog on Friday, January 16th! It's been a busy, enjoyable Christmas season for us and I hope it's been a great one for you too! I have lots of cards that I was planning on sharing over the Christmas break from school, but never got online much to actually post them! So, I guess I'll be sharing card samples to get you inspired to begin on next year's Christmas cards this month! lol! But, first I thought I'd share a card of thankfulness I made for a friend of mine recently. 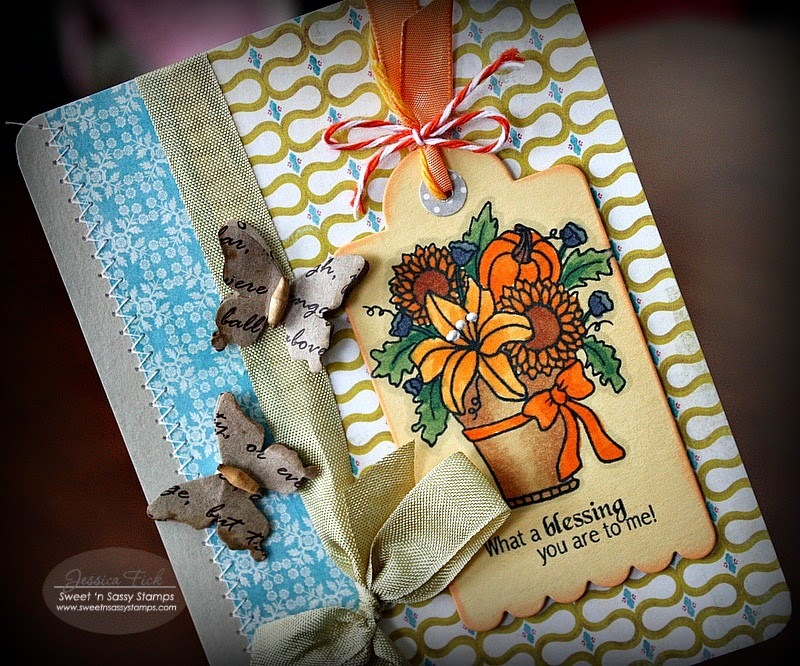 I adore the Sweet 'n Sassy Autumn Bounty stamp set so much. It's one of my very favorite floral images from SNSS. I stamped it on a yellow tag and colored with Copics. I find it enjoyable to stamp on colored card stocks and color with Copics sometimes - it's a break from the usual white background and give a nice tint to the images. I found those kraft 3D butterflies at Michaels recently - I haven't been in that store for a LONG time and was looking for a couple of fun new embellishments to add to my stash. I hope you have a wonderful rest of your weekend and a blessed New Year! I'm back with another Sweet 'n Sassy Stamps' December stamp set feature: Happy Home. 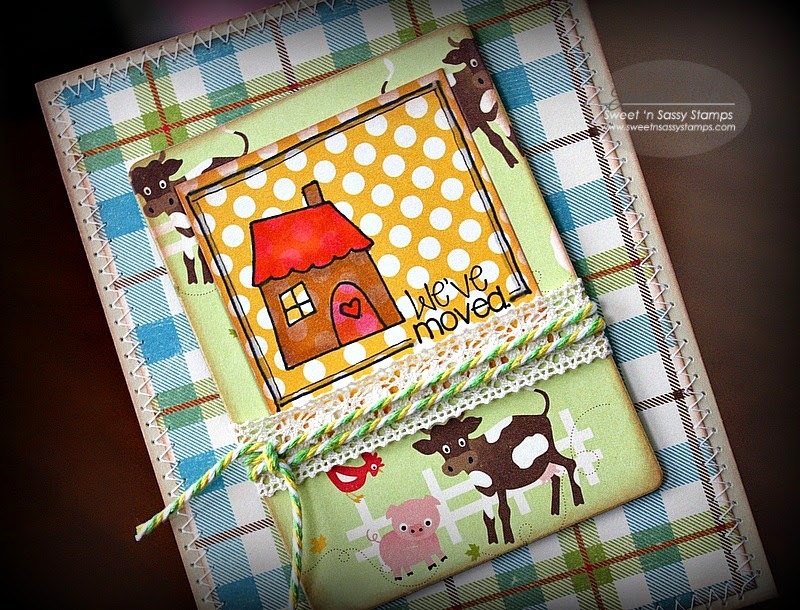 I've been having fun playing with my October Afternoon paper stash and thought the 'we've moved' sentiment would be fun paired with this barnyard scene including the cow image. You' know, we've 'moooo-ved' - lol! The card ended up being a bit busier than I wanted it to, but it's a fun one with all the patterns! 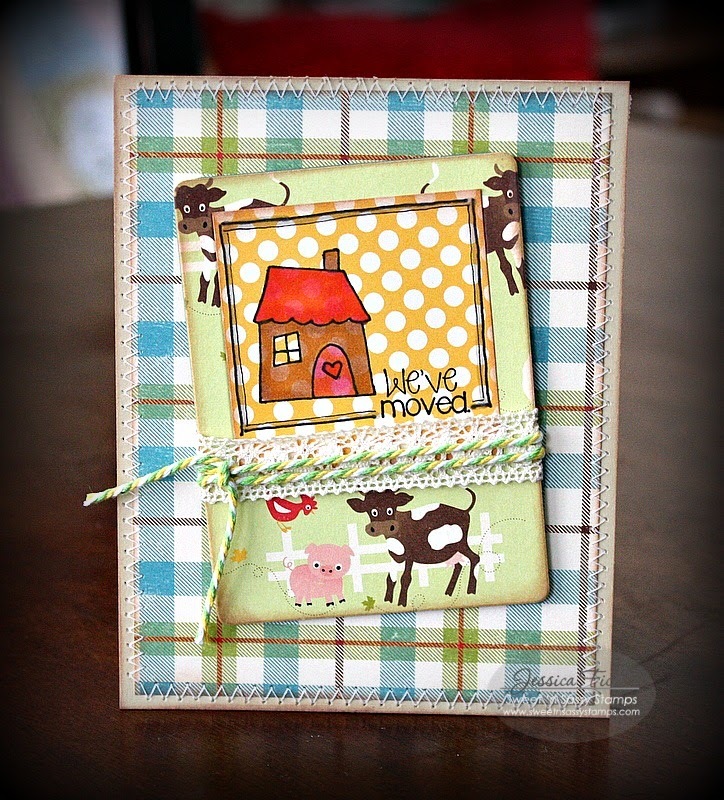 To view the designer's samples with today's adorable stamp set, please hop over to the SNSS company blog!